2. 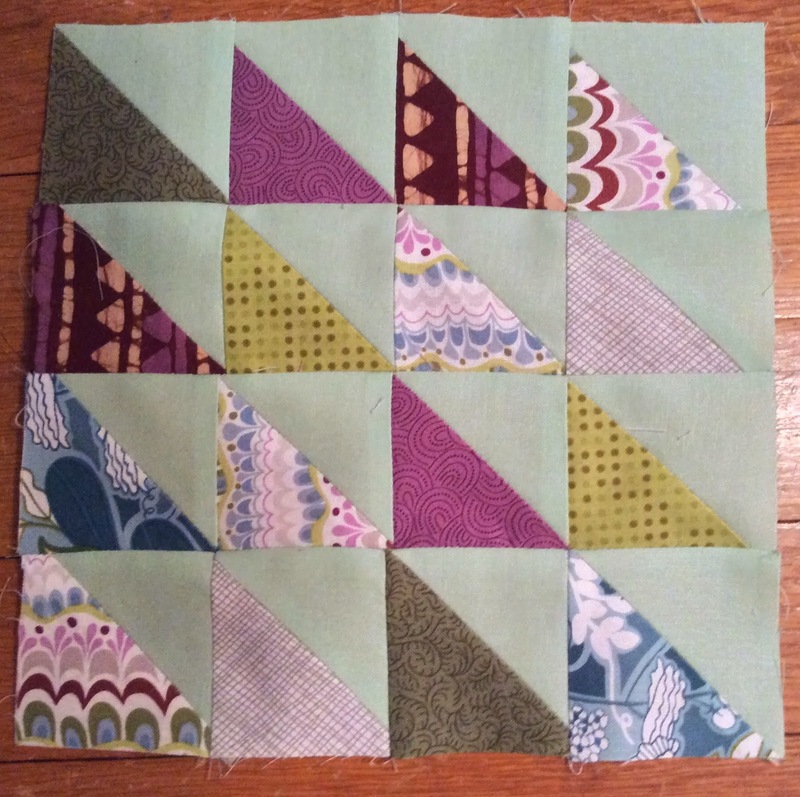 Each block must contain at least four triangles of the printed fabric. 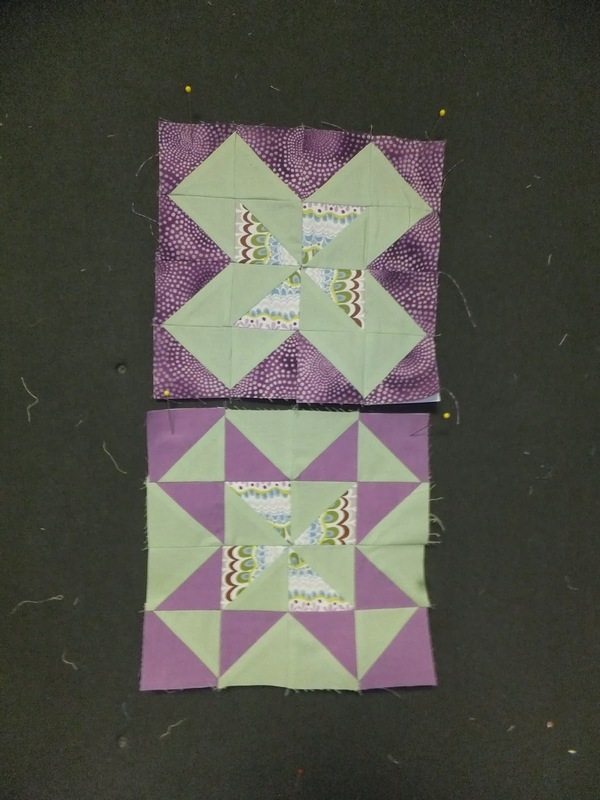 Since everyone's 1/4 inch tends to be a little bit different, our Charity Committee opted to use paper piecing to keep us all on-point and accurate. Bobbi says (on choosing the fabrics): "We walked the LQS looking for something a little different, that was small enough scale to work in a small triangle, and that had a variety of colors in it (vs monochromatic) that would give us room for some additional coloration. We then looked for a solid that would be attractive to a wide audience (sale-ability!) and decided on the celery. 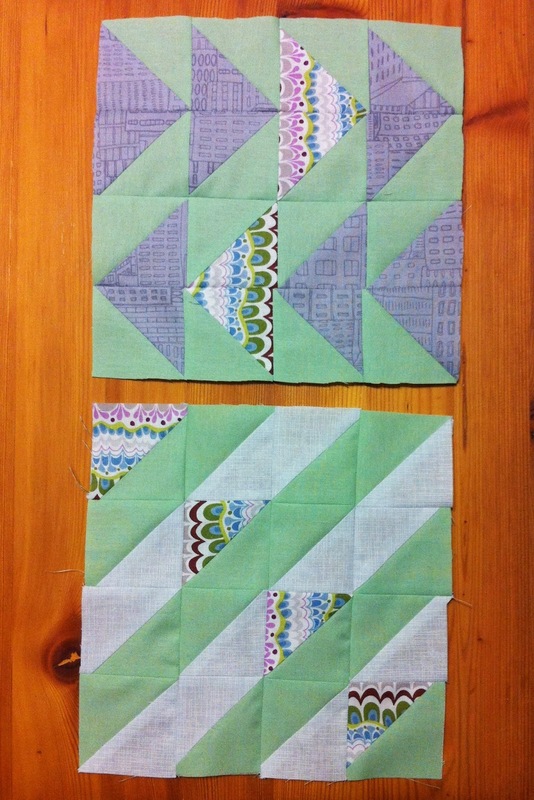 The quilt will be a cross-over traditional design with a sort of modern spin that should be appealing to many people. It gives us a little opportunity to show some creativity in the individual blocks and the use of a small amount of the feature fabric and the solid should tie it all together. 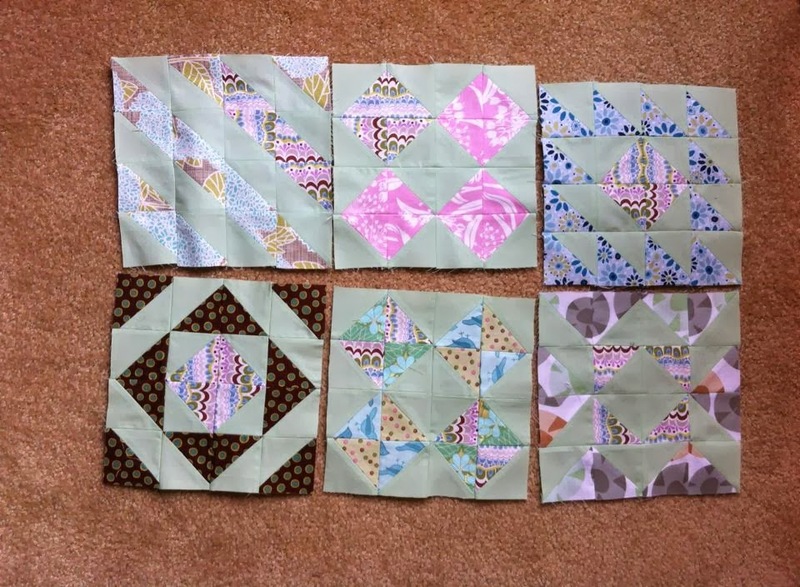 It will likely have sashing and a border but those decisions are better made once we see the blocks." 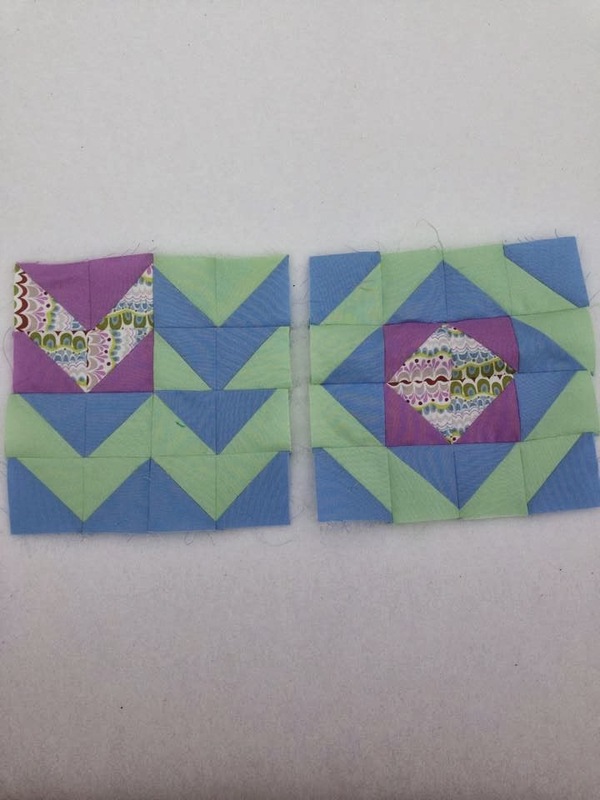 Blocks by Denise, Becky and Cathy F.
It's going to be a beautiful quilt and we can't wait to share the finished project! Gorgeous already! 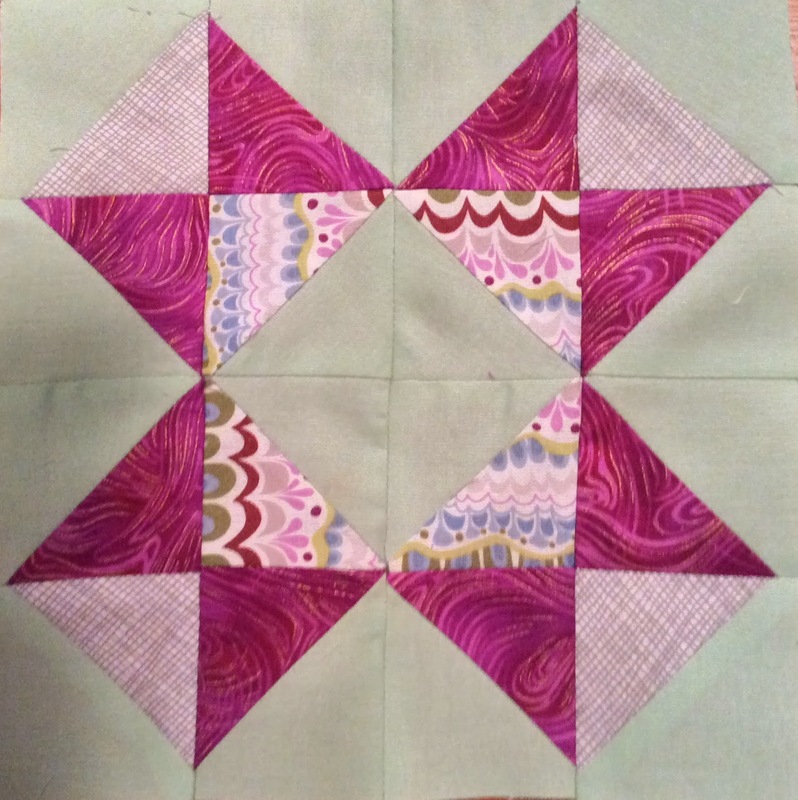 So glad to be making blocks to contribute! We have to use the green in every block? ?